So what did I do with those 2 inch strips ? No I did not do a strip quilt although that is on my to-do list of things. 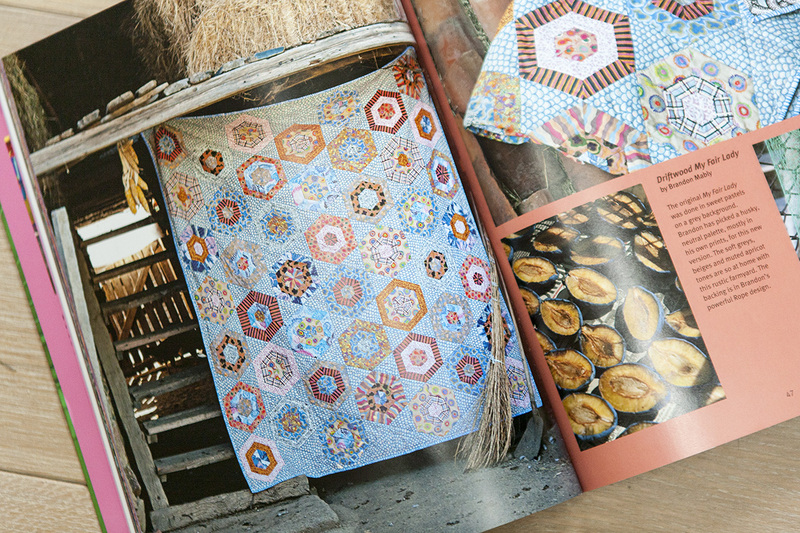 I have a couple of K. Fassett books and when looking through them for inspiration for the Bloomsten fabric, a hexagon quilt caught my eye. It is called 'Drifwood My Fair Lady' and is from Brendon Mably and you can find it in the book ' Kaffe quilts again'. And I thought this would be perfect as I could use the large amount of newspaper print I bought as background. 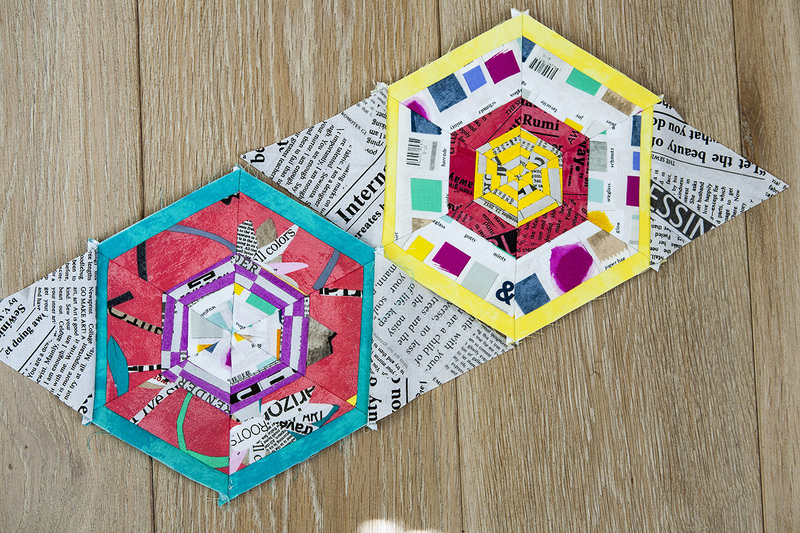 I changed the pattern somewhat in that I made myself a foundation paper template for the hexagons. The pattern in the book advises to piece strips together and then to cut out the 6 triangles for the quilt using a template but I find this not accurate enough. The triangles are basically cut all on the bias and loose form the minute they are cut. Sewing them on paper ensures they keep there form until the hexagons are done. Whenever I paper piece I keep the paper attached as long as I can handle it. So the long, very long process of paper piecing has started. Although it can be a bit tedious, I do like it as it is methodological and it is fun to see the hexagons coming together. This will be a lovely quilt. I have one or two of her lovely collections and continue to search for a place to use them, perhaps the best idea is to use them together. For me, the only downside is picking out the paper. Your blocks look fabulous!